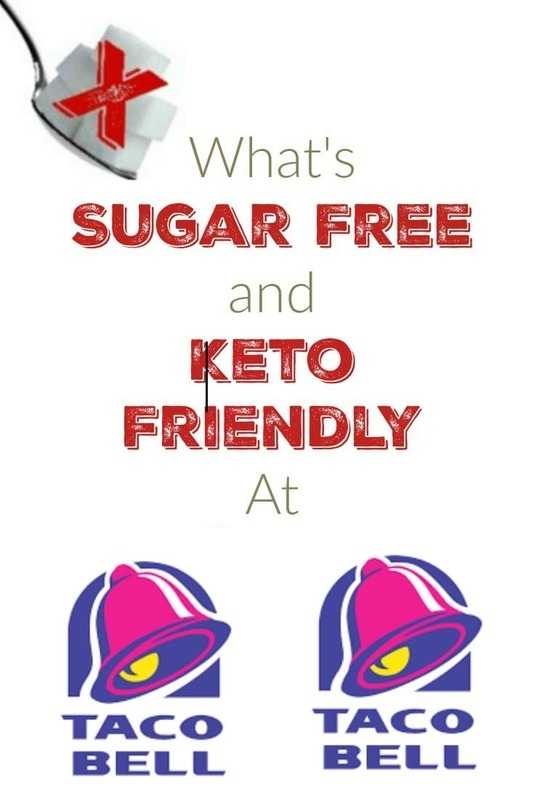 What's Sugar Free and Keto Friendly at Taco Bell? As I have continued writing these What’s Sugar Free and Keto Friendly at Restaurants posts, I have noticed that some of these posts get a little negative pushback. In light of that, I feel like I have to say right up front that no one is suggesting that Taco Bell is actually a healthy place to eat. It just isn’t. 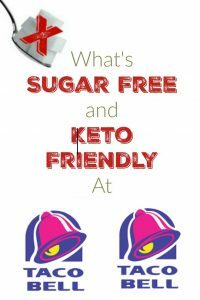 We will look at some of the ingredients they have in a minute but rest assured, if you are trying to eat as healthy as you can, stay away from Taco Bell. However, sometimes you find yourself in a Taco Bell and need to know what to eat. My son lives next to a Taco Bell and it is the only restaurant within walking distance. Or you are out at 2AM and it’s the only restaurant open. It happens. I get it. No judgments here. First, let’s discuss the good news. Taco Bell actually lists out the ingredients to their food, except for the taco meat. For that, I had to track down an old ABC News article. Having done the research for a lot of these posts, any restaurant that reveals what is actually in their food gets a big thumbs up from me as that is a shockingly uncommon phenomenon. Now the bad news. 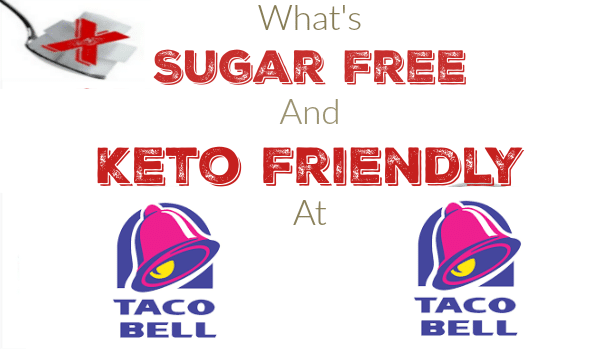 Every meat in Taco Bell has some kind of sugar. It’s in the seasoning for the taco meat, steak and chicken but it is dextrose and maltodextrin so not only is it in relatively small amounts, it contains no fructose which is the the most obesogenic type of sugar. I’m going to include these meats on the OK list because it is such a small amount and I doubt it would have a huge effect on anyone’s blood sugar levels but you need to be aware of the issue. Also, literally nothing on the menu is low carb as is. You are going to have to assemble a taco salad without the shell and specifically list the ingredients you want in the salad. However, a salad with lettuce, tomato, pico de gallo, 2 sides of chicken and/or steak, sour cream and guacamole tastes pretty good and comes in at under 10 bucks. I think this is going to be your best bet and you can even throw on some Fire Sauce as it is the only sauce without sugar. So without further ado, here are the list of keto friendly ingredients. Border Sauce – Fire – Contains a very small amount of modified food starch and the spices appear to contain a small amount of wheat. PREVIOUS POST Previous post: Keto Questions: Does a Ketogenic Diet Help You Make Good Decisions? Sugar was always low as I try to maintain heart healthy and diabetic aware. Awesome! Let me know how I can help Susan! So what exactly on the menu can I get? Nothing. You can go there and pick out ingredients but otherwise, you’re f***ed.